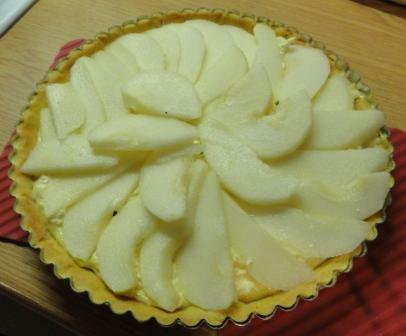 I have a recipe for Pear and Almond Tart that I have been meaning to try for 2 years now. It has been hanging on my fridge waiting patiently. It was this recipe that gave me the idea for the challenge and I had not read it before I tried it out. add egg yolks and pulse be patient - and do not be tempted to add water - it will come together! Would I try this again – NO, the texture did nothing for me. 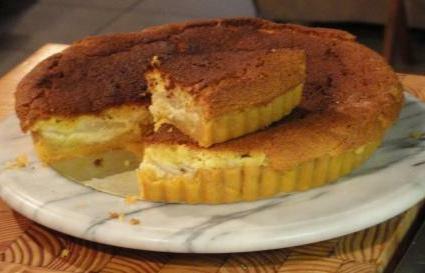 But, for the first time I have used a pie flan and it was so easy to use that I have another recipe in mind to try! Oh my word…I am so sorry I came over to visit….now I am hungry!! !